The ATC Pro Team Ladies V-Neck Tee is a 100% polyester tee that’s an ideal custom t-shirt for fitness clubs and sports teams. 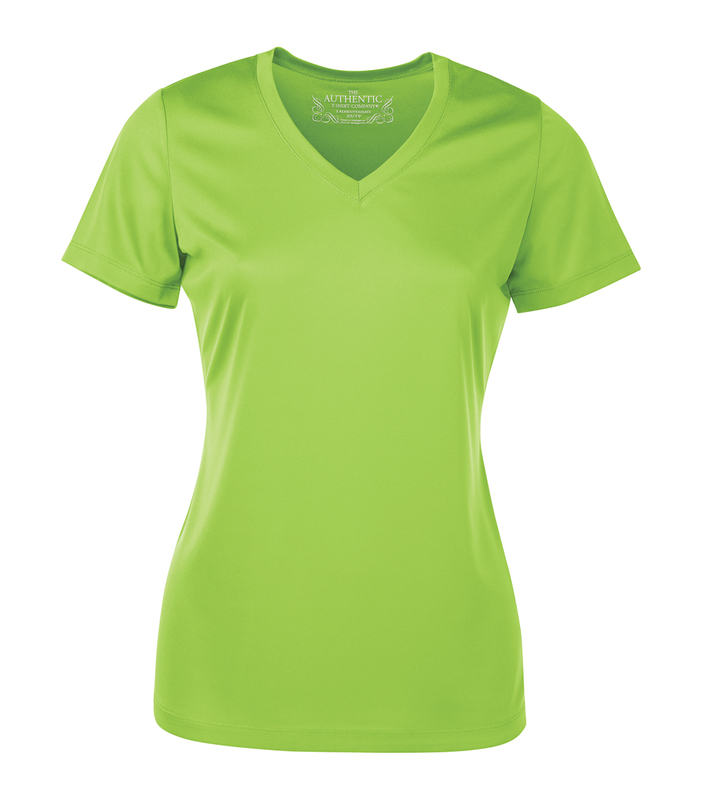 A contoured fit and mitered v-neck pattern offer a feminine touch while breathable, moisture wicking technology deliver quality performance that will keep you dry and comfortable. No bleed fabric created with a unique cationic dye process ensures your printed logo looks crisp and clear. 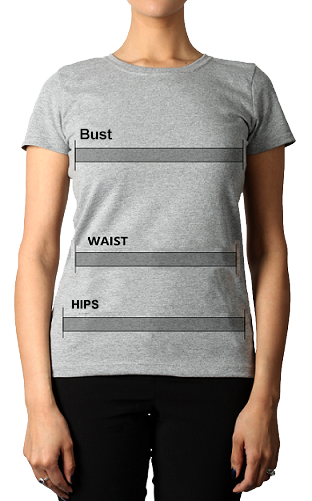 This custom t-shirt is tagless for optimal comfort. Place one end of the tape measure under your arm and wrap across the fullest part of your chest. Round up to the nearest half inch and mark the measurement..
Measure at the fullest part of your body below the waist. .